Linkfield was created when experienced consultants from leading international executive search firms who share a common vision about talent management united together. To position ourselves like a market: flexible, responsive, striving for excellence through quality service and advice. We collaborate with large and mid cap companies in France and international. We have been involved in assignments for subsidiaries of leading French companies in Western & Eastern Europe, Turkey and Asia. To accomplish our missions with through an effective results-oriented process. We believe that a good understanding of the strategic issues and cultural needs of our customers is essential for carrying out a project. In addition, we believe that a close relationship with our customers is a key factor of success. Alexandre brings more than 15 years of international and cross functional executive search experience with a focus to Consumer Goods/Retail, Industry and Technology. Alexandre has conducted executive search in France and internationally since 1999. He has worked for Whitehead Mann (now Korn Ferry International) before establishing Linkfield Associates in 2009 and the French subsidiary of Pedersen & Partners in 2012. Before entering the executive search industry Alexandre began his career in the Telecoms sector, working in development and HR functions for Orange and Vodafone. Mr. Fréreau has a degree in business from the Ecole Internationale de Management de Paris. He speaks native French and is fluent in English and Spanish. 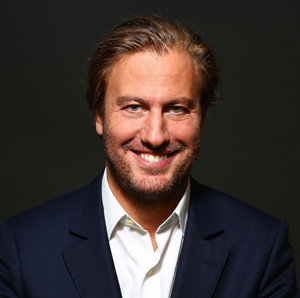 Yann brings a multicultural and flexible approach of international and cross functional executive search experience with a strong focus to Financial Services, Legal and Industry. 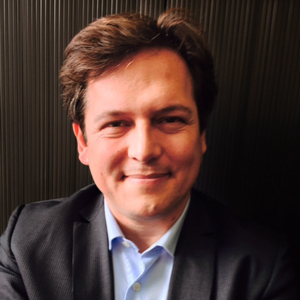 Yann has conducted executive search in France and internationally since 2011. He has worked for AIMS International and MacAnders before establishing Linkfield. Prior to entering the executive search industry Yann began his career in a French International Business Law Firm and evolved during several years in international Banks in finance, marketing and audit positions. Mr. Farell O’Reilly has a superior degree in Finance from Université Paris V, René Descartes and a degree in business and tax law business from Université Paris II Panthéon Assas. He speaks native French and is fluent in English and Czech. We are expert in attracting talents and help organizations to assess and develop their key people. We are a key player remaining flexible, responsive and positioned in key market both in France and abroad. Thanks to this strategy we ensure you benefits from the tailor-made approach you would expect. Our concern is to be results oriented, maintaining impeccable standards for services and advice. Careers today are marked by changes and developments. There are choices available, including the option of changing companies to increase responsibilities and access managerial positions over time. to provide options that help you realize your ambitions and access opportunities that are important for your career. By creating an environment of success and confidence, we get to know you and help you to identify your aspirations, motivations and targeted challenges.